Movies Worth Watching brings a variety of classic films that are best viewed on the BIG screen. Join us to see the best that Hollywood has to offer. Every screening is preceded by a Motion Picture Arts (MPA) student film that we know you will love. 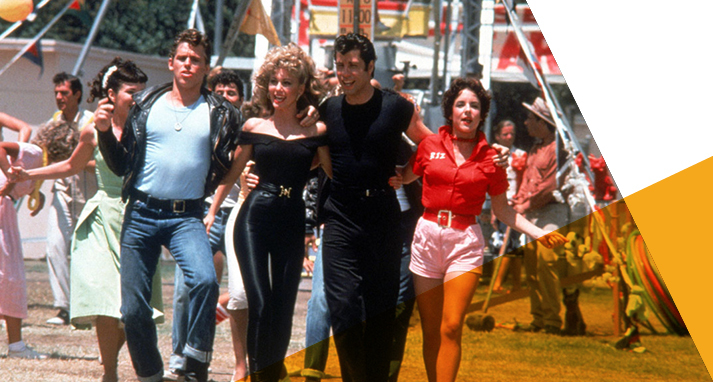 Welcome to the singing and dancing world of Grease, the most successful movie musical of all time, starring Olivia Newton-John and John Travolta – now digitally remastered in this special version made for audience participation. This event will feature the hit movie complete with song lyrics on the screen. Audience members are encouraged to come as they are, or dress up as characters from the movie, and enjoy one of the most popular and fun movies of all time. For more information visit: Film Events.